One of the most important aspects of learning to read stock charts and using Technical Analysis is to remember that the Market Structure is changing and evolving over time. Sometimes these changes are very slow, other times the evolution is occurring at a rapid pace. In the past 5 years, the pace of change has been accelerating and continues to move at an ever increasing level. Therefore new and novice Individual Investors and Retail Traders need to be aware that all of the older books, articles, and information on the internet as well as in bookstores can be studied but also should accepted as being outdated. The Market Participant Group of Individual Investors and Retail Traders include those who have learned to trade stocks from home. The topping stock formations of candlestick patterns that are developing now in the market, reflect the fact that now 70-80% of all the market orders are automated. What this means is that most of the orders are triggered by a computer. Market makers used to be humans that made the market by filling orders when there was no counter order. Now most of the market maker orders are fully automated. Computer generated and matched orders create different technical patterns including topping formations, than human initiated and typed in orders to the market. In addition the increased use of Alternative Trading Systems platforms by the giant Institutions creating Dark Pools, High Frequency Trading Firms Algorithmic trading, Electronic Communication Networks, and 16 different US stock Exchanges create a far more dynamic Stock Market than what was present just a few years ago. 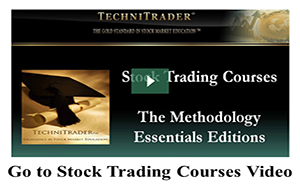 To start understanding topping stock formation action, a new or novice Individual Investor or Retail Trader must learn the original classic topping formations. Then they must learn the new topping formations of the automated marketplace. When both are learned, the new Individual Investor or beginner Retail Trader is prepared to use stock charts and Technical Analysis to the fullest advantage and success. 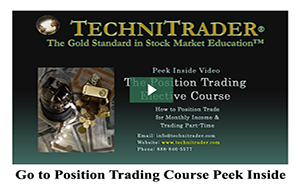 A topping formation occurs when a stock has been moving up for a long period of time and speculation has entered the price action. Often stock prices will go vertical with huge gains or shrinking price action just before a topping pattern begins. Tops often take a long time to form because most investors and traders don’t want to believe the uptrend is over. Late comers frequently buy a stock that is topping when it “dips” in price, because they are unaware of the fact that the stock has reached the end of its long term or intermediate term uptrend needs to correct and move down. This late buying causes tops to form over an extended period of time with a variety of topping patterns. Sometimes a top comes swiftly and the price collapses, but usually it takes a while. Regardless of trading or investing style, being able to recognize topping formations early will help keep more profits by exiting before the stock falls. 1. Inverted V is the opposite of a bottoming stock V. The inverted V occurs when a stock has been running up so fast that it doesn’t develop any viable support levels, suddenly peaks and forms a sheer cliff drop on the other side. These often have gap downs and the runs are so fast downward that they can be tough to catch. Inverted V tops are rarer now due to how High Frequency Trading activity controls most topping formations. 2. The Double Top is an inverted W or what is usually called an “M Top.” This is where the stock reaches a high, retraces and then moves up again but is unable to move beyond the original previous high to continue up. It then proceeds to move down again. The confirmation that a reversal of trend has occurred is when the price of the stock violates the lows of the M formation. Double tops are not topping formations until the reversal is signaled. Double tops can easily turn into a longer term sideways pattern that meanders up and down within that price range, so confirmation of price is critical. Also Double or M Tops are less common and rarely form on long-term trends. With the automated market, most M Tops are seen only on the short-term trend. 3. Triple Tops and Head & Shoulders are basically that the Head & Shoulders Topping Stock Formation is a variation of the Triple Top. Head & Shoulders Topping Formations are exceedingly rare nowadays. Triple Tops are also quite rare. The rule for Head & Shoulders is that it must break the neckline, which is the low between the shoulders. The neckline can be horizontal or angled and either makes no significant difference in the success of the downside formation. The head should be formed on upside weaker volume, the right shoulder should form on upside weaker volume still, and the break to the downside should form with strong red or downside volume. These tops are very rare nowadays due to how the giant funds use Alternative Trading System platforms to slowly sell out of a stock long before it runs up speculatively. The Head & Shoulders formation peak fails to form often as High Frequency Trading Firms trigger massive collapsing sell offs on sudden news events. Since High Frequency Trading Firms are mostly one day events the “Head” that used to form, no longer does because there is no continuation after the huge one day volume surge and price speculative intraday action. 4. The Rounding Top is the opposite of the rounding bottom and is very ominous and reliable. Rounding tops usually form slowly giving the holder time to exit. They can be short term or long term formations. The Rounding Top used to be less common but now is forming on all 3 trends, long-term aka primary, intermediate term, and even the short-term trend. The Rounding Topping Stock Formation is harder to identify early on but is a pattern all investors and traders need to learn and identify as early as possible to protect more profits. The Rounding Top can fall quickly, and has less support on the way down to prior lows. 1. The Long-Term Trend top starts when the company has reached market pre-saturation of its main products or services. The overall stock market topping occurs either when several major new technology industries have reached market saturation, or speculation has entered a Bull Market causing extreme Angles of Ascent™ on the long-term trend for most stocks, or due to a relational impact of a different Financial Market that is collapsing. 2. For the Intermediate Term Trend a topping action is usually related more to industries and sectors, and most stocks in that industry or sector will peak at similar intervals. 3. The Short-Term Trend is mostly individual companies that have a weaker quarter, or have cyclical earnings and revenues, or where an unexpected event has hampered the growth of the company. Regardless of all of the technical patterns you can learn, all tops are based on fundamental issues, financial market inter-relationships, or a sudden unexpected Black Swan event such as a banking debacle. Tops are caused by short-term trading action. Market tops as opposed to individual stock tops, can take quite a bit of time to form. Individual stocks can often top rather rapidly. Contrarian indicators will show extreme readings prior to market tops for 2-4 months or longer before the market top actually occurs. This is because of the buying that takes place as a top forms. Individual stocks will show nearly vertical trendlines if the buying that caused the top has become irrational without solid basis, and is therefore pure speculation. Contrarian views are tough for beginners to recognize, accept, and react to appropriately. It is really hard to jump onto the other side of the bank and sell, of the fast flowing river of trading and emotion that is buying. No one likes to be the lone man out. That is why most highly successful traders are loners and do not participate in group chat rooms. You have to be able to make a decision and stick with it even when others think you are wrong. Contrarian patterns only work when the market goes to an extreme. It doesn’t work when the market is slightly overbought or slightly oversold. It has to be an extreme. During a topping stock formation it is likely that the stock price will go from one extreme high to another, and then another again before it collapses. Rarely is that first extreme the end of the price high. The reason is the odd lot buyer and the small lot uninformed buyer have very little knowledge about the market. Their market orders can drive prices much higher. Then there are the High Frequency Trading Firms using computer generated algorithms that trigger thousands of orders on the millisecond scale, that create the daily feeding frenzy second by second. High Frequency Trading can and does cause major price fluctuations during the trading day. Retail Day Traders are only permitted to trade on the minute timeframe and those orders are filled on a mandatory 90 seconds. High Frequency Trading Firms trade 1000-3000 times per second. That means retail day traders minute order can’t see the 60,000 to 90,000 High Frequency Trading Firms orders that are being processed and changing price during that one minute the retail day trader order is being filled. Therefore, retail day traders are constantly at a disadvantage in terms of seeing what High Frequency Trading Firms orders are doing to price on the millisecond scale. That is why the Securities and Exchange Commission has sent out messages warning Retail Traders of the hazards and huge risk of day trading in the automated marketplace. For beginners trying to trade a market in an extreme mode can be very dangerous and tricky as the volatility increases with each level of price speculation. It is a wave of euphoric buying that is totally without any logic or rational. My advice for most beginners is not to trade live, but to begin by paper trading and learn. Once you have a 75-80% success rate on a professional style simulator then you will be ready to trade the stock market. I advise avoiding Day Trading if you are a Retail Trader, because this has become an extremely risky style in the past few years. Instead consider Swing Trading, Position Trading, or Intermediate Term Trading all of which provide far superior profits to Day Trading. Topping Stock Formations are part of the Stock Market. They are the normal cycle of business that begins with a new product or service, grows and expands as the product or service becomes popular, and then contracts as that product or service reaches market saturation where those who would buy it already own it. These cycles repeat over and over, and are why tops and bottoms continually occur in the Stock Market. 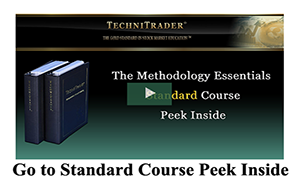 In addition every technical pattern is tied back to either fundamentals or to technical trading techniques.